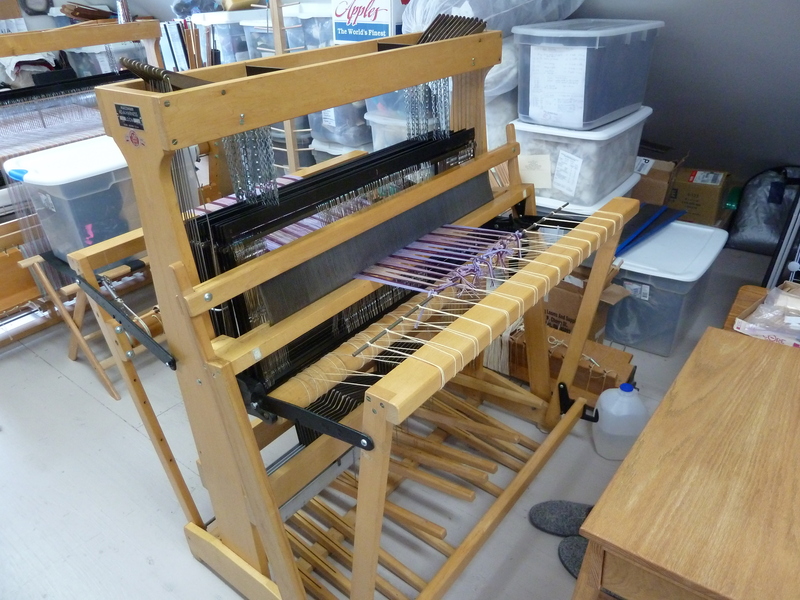 A year ago I bought a 32″ Macomber loom from a woman in Kingston, WA and blogged about it here. I named it “Kingston” because that is where it came from, and I liked the sound of it. 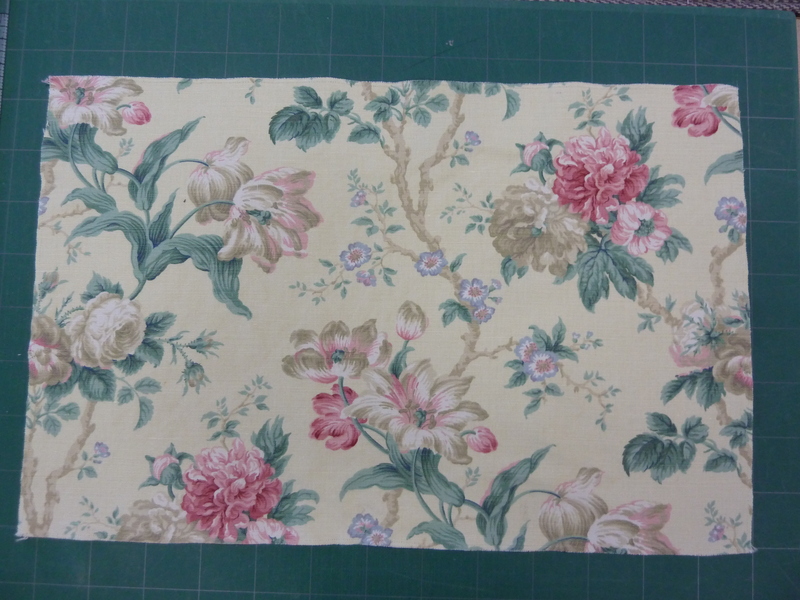 I have really been happy with Kingston, it is a great weaving width for doing scarves, towels, shawls etc. 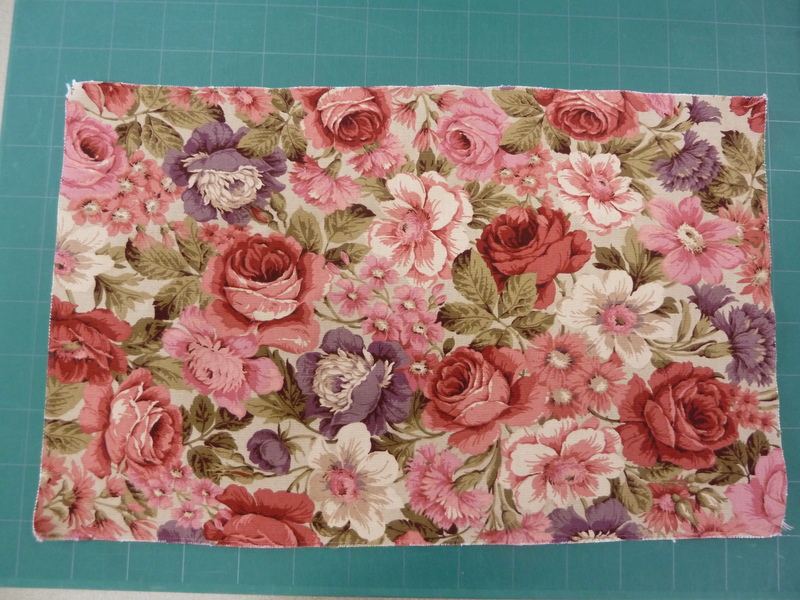 and then I can devote my wider 48″ Mac to rugs, blankets, and so forth. But I have been a little frustrated with the fact that it only had 4 harnesses (4H), thus restricting the types of patterns I can weave on it. 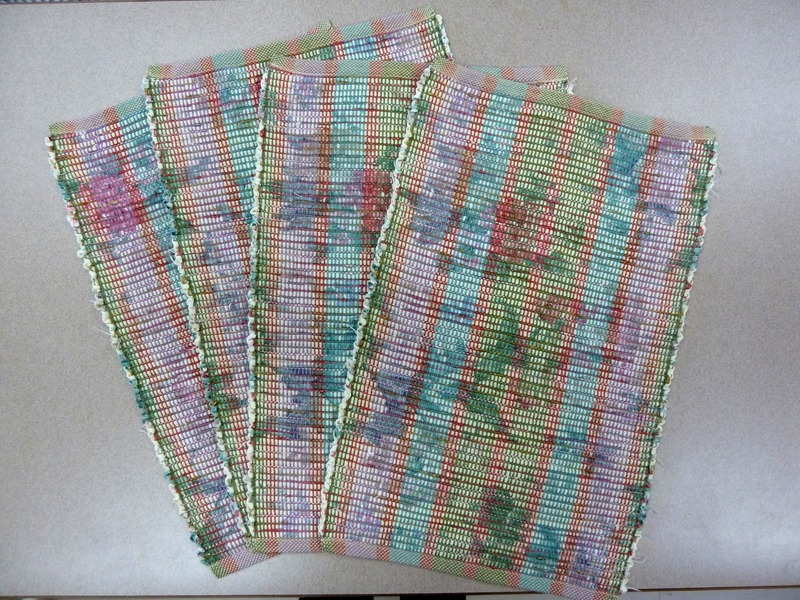 In fact, I have had to use my “Baby Mac” model CP portable workshop loom, which is 20″ wide and has 8 harnesses, to do the polychrome summer & winter scarves, and the placemats I have been doing lately, for exactly this reason. It is a lot smaller (not as comfortable to sit at for a long time) and just not as beefy as a full-size loom, so really wasn’t what I wanted for a long term solution. Most B4/B5 model Macs can take up to 10 harnesses (10H), and I intended to add 6 more to Kingston “eventually”, but that is a big chunk of change and I just hadn’t taken the plunge. Then about a month ago I got wind of someone in Seattle who had a 32″ Mac with 12 harnesses for sale. In other words, exactly the same loom as Kingston, but with 12H instead of 4H. I emailed her to explore the idea of buying hers, and selling mine, but I wasn’t sure if this made any kind of sense, or how hard it would be to sell Kingston. It turns out she is getting a wider, multi-harness countermarch loom (new) but she really liked the 32″ Mac and she suggested we swap looms as she would be happy to have a simpler version (plus some money, of course). So for a fair amount less money that it would cost to upgrade Kingston to 10H, I now have a “new” Kingston with 12H! Also, it is newer – Kingston was built in 1961 and this one was built in 1995. And, she didn’t care about having the sectional warp beam, so I was able to keep the one which came with Kingston! 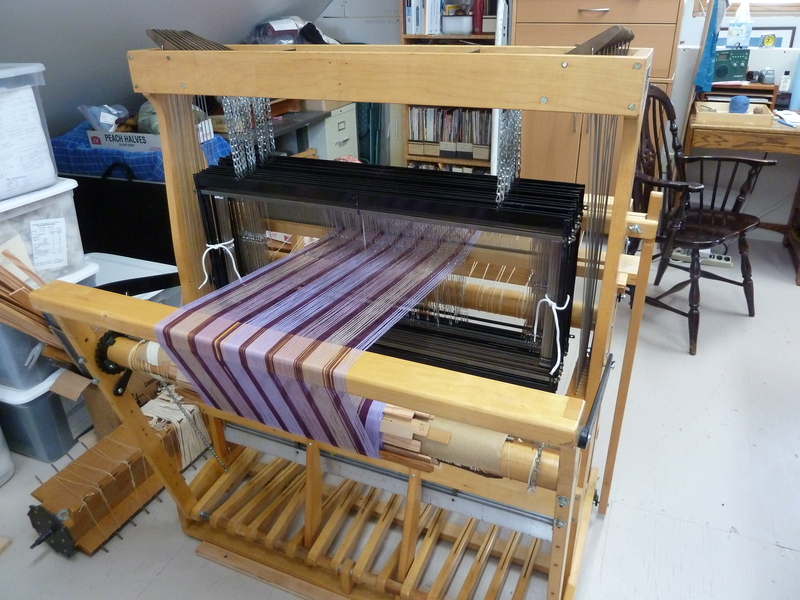 Regarding the history of the new loom, she bought it from a young woman who graduated with an arts degree and an interest in textiles, who later moved on to other things – this loom had been a graduation gift. So I am the third owner at this point. So right after we got back from Port Townsend and the Olympic Peninsula, we made a one-night trip over to Seattle with the cargo trailer and made the exchange. Both parties are quite happy! 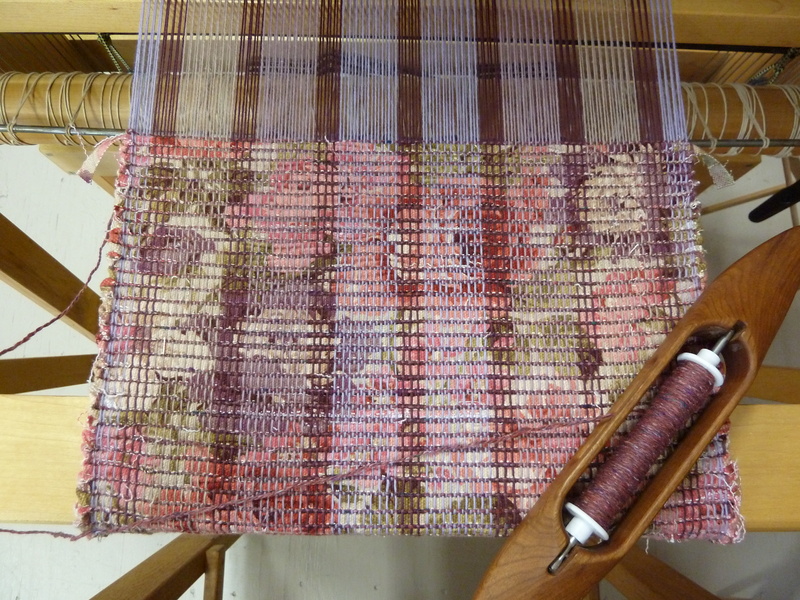 I had a warp on the Baby Mac to finish off, but yesterday and today I put the first warp on the new loom. It may be called “Madison” (it came from Madison Valley neighborhood in Seattle) – but I really like the name Kingston, and they look so much alike, it may just continue to be “Kingston”. 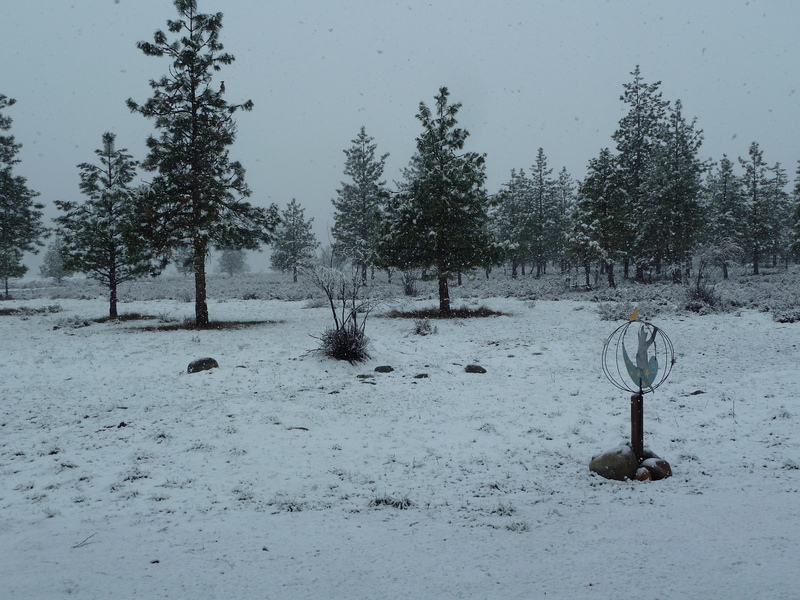 April 7, 2013 spring snow! It did all melt eventually….